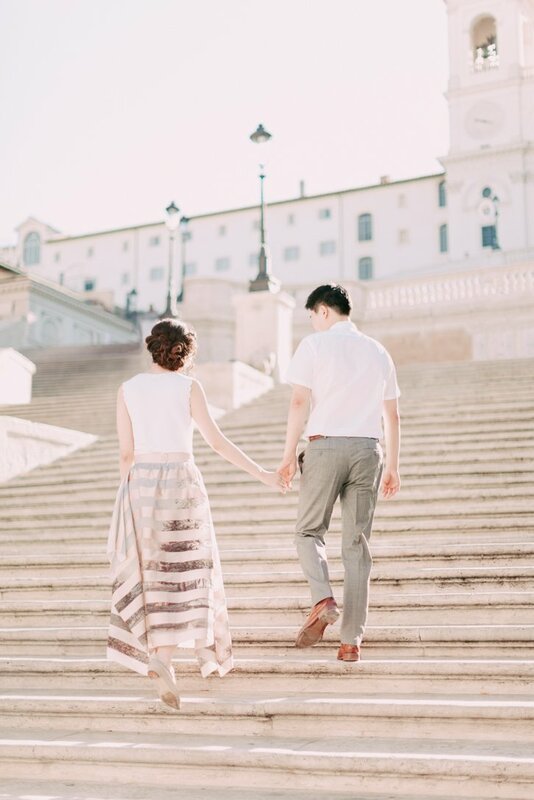 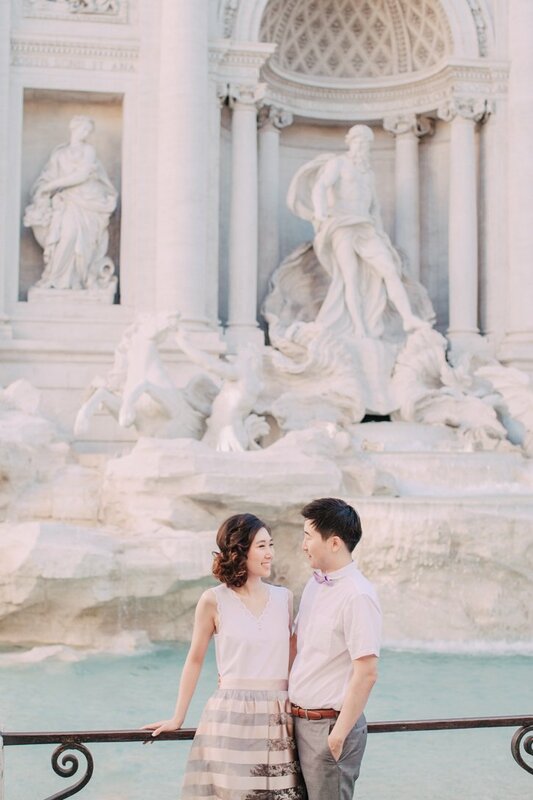 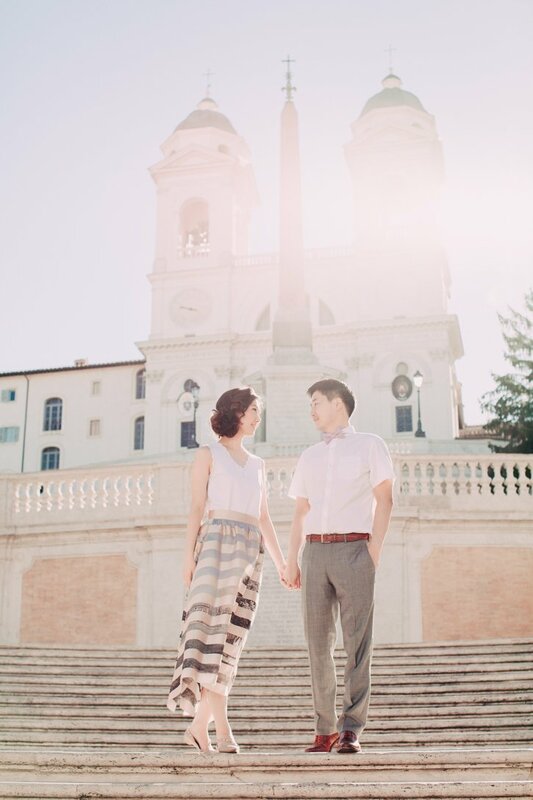 One of my favorite Rome honyemoon couple photography session. 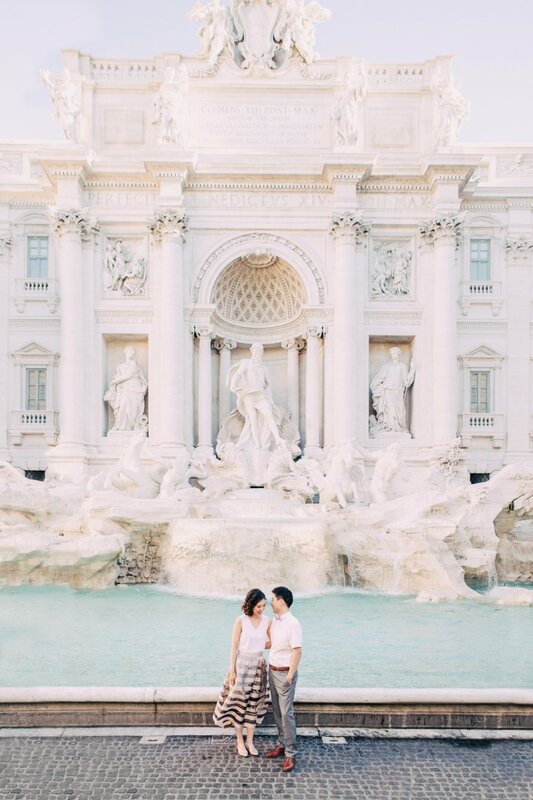 The sun peeked as we walked towards the Trevi fountain. 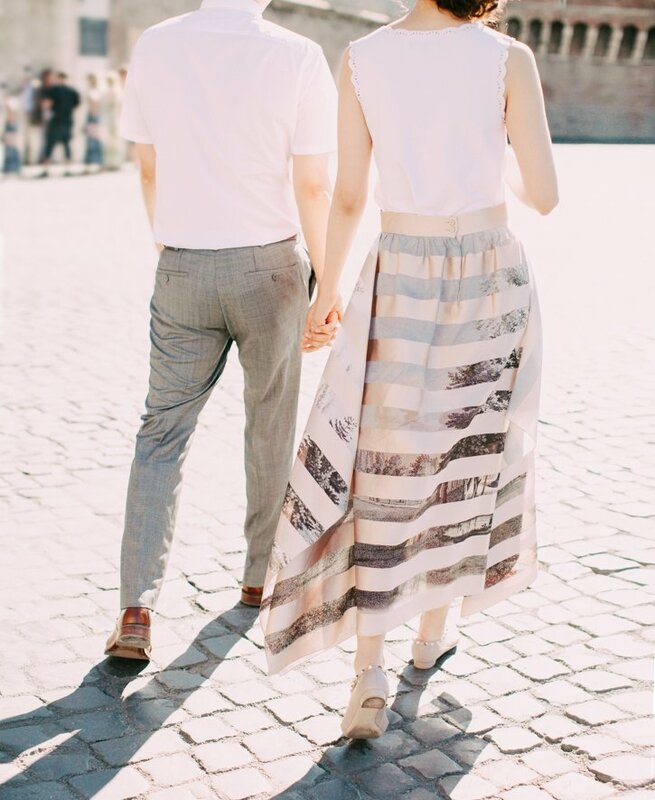 The light was very delicate while capturing some candid moments of Erin and Micheal. 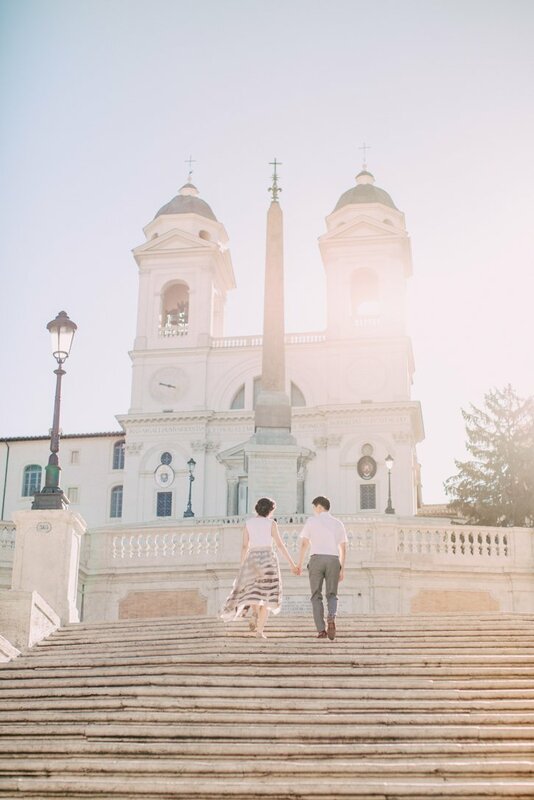 Erin and Micheal exchanged their vows becoming husband and wife the day before our session in the elegant Hotel de Russie. 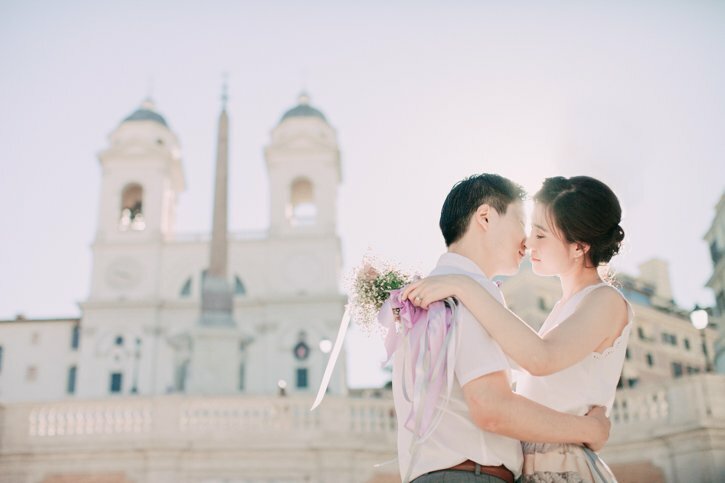 It was an intimate and emotional ceremony, which I was so honored to be a part of. 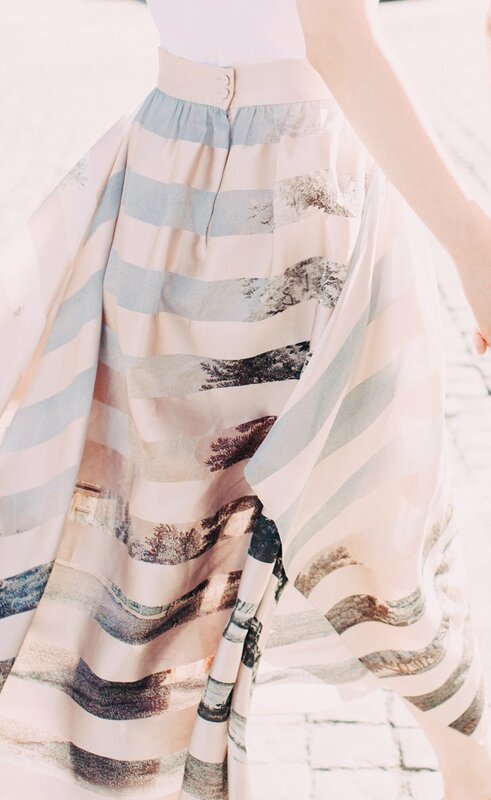 Along the road, a mild western wind called Ponentino, which is similar to a sea breeze and typical of Roman summer, played with Erin’s pastel skirt creating sinuous shapes. 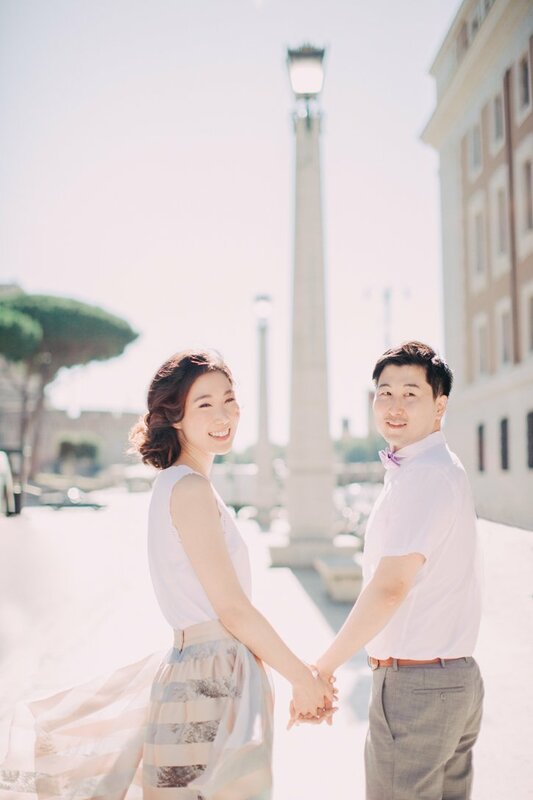 Erin’s shirt was a gift from her mother for this special shooting. 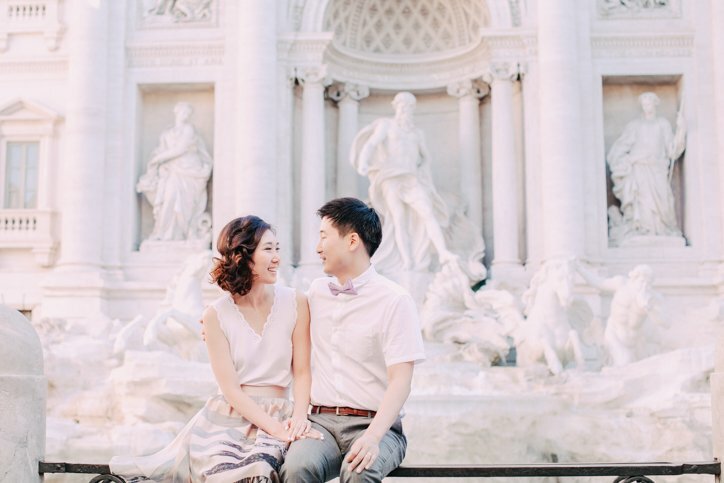 We started towards Piazza di Spagna and then headed to Ponte degli Angeli as our last location.